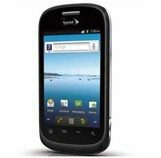 Starting tomorrow, Sprint will offer a new Android smartphone geared toward kids and their parents. It will be called the ZTE Fury. The phone itself is inexpensive (with a two-year contract). Just $19.99 after a $50 mail-in rebate. The specs are not as chintzy as one might expect on a ‘kids’ phone. The Fury runs Android 3.1 on a 1 GHz processor with 4 GB of internal storage. It will have a 3.5 inch touchscreen, a 5 megapixel camera, and be able to double as a 3G hotspot. But to take full advantage of the family oriented features that many parents would want on a kids phone, Sprint will nickel and dime shoppers. For example, the phone is compatible with Sprint’s ‘Family Locator’, which is a service that allows parents to access a map with the location of the phone (and hopefully, the child). It has a ‘safety check,’ which alerts the parent if a child doesn’t reach their destination within a certain timeframe. For this, there is an extra charge of $5.00 per month. For the parent of a teen driver, there’s also ‘Drive First’. This service locks the phone when it’s traveling over 10 mph. This service adds an extra $2.00 per month. Then there’s Sprint Mobile Controls. The service lets parents lock the phone on demand, or on a schedule, and lets a parent view a child’s address book and what apps have been downloaded to the phone. This cost $4.99 per month. The phone is to be available starting tomorrow, March 11, at Sprint stores and Sprint.com.